The python buildpack has just been added to Packager.io. You can now package and serve all your python apps for Ubuntu, Debian, CentOS/RHEL, and SuSE distributions! For reference, we're using the official Heroku python buildpack, with only minor changes to get precompiled python binaries for your target platform(s). 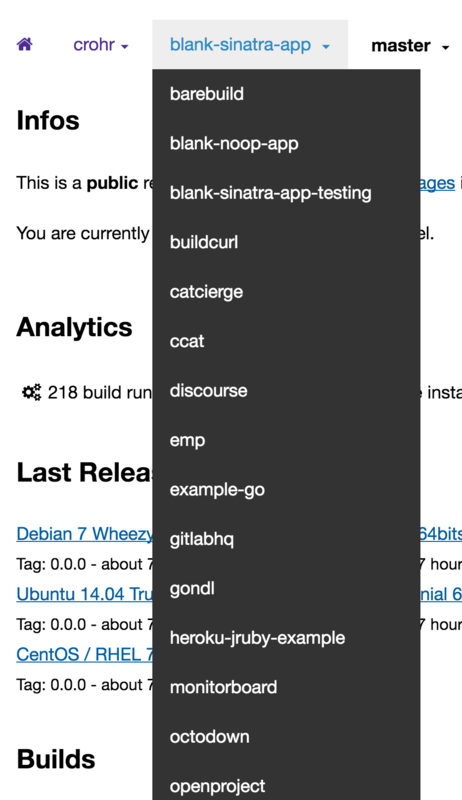 For those of you who use a lot of short-lived branches, and build packages for all of them, it may have been slightly annoying to not have those branches removed from Packager.io when you remove them from your git repository. This is no longer the case, as branch presence is now kept in sync with your repository. We also went back in time and removed any existing branch on Packager.io that is no longer present in the corresponding git repository. When you package a Rails application on Packager.io, by default you'll end up with init scripts to run your application with the web server you defined in your Procfile. This allows you to install the package on any server and get your application running very easily with my-app scale web=1. However, if you're already using Passenger for your deployments, you might want to keep it that way, in which case you can still benefit from the ease of installation provided by packages, but serve your application using Passenger. In the rest of this article, we're assuming that nginx and Passenger are already installed on your server, and that your application name is my-app. You can very easily adapt the following instructions for apache2 + Passenger. Passenger will need to know which ruby you want to use to load the application. We could directly point to the ruby binary embedded with your package, however it would not load any of the environment variables that you defined, which would not allow the application to start properly. The easiest way to fix this is to create a new file that will delegate any arguments to the CLI that comes with every package, which will take care of all of this for you. exec "/usr/bin/my-app" "run" "ruby" "$@"
git commit -m "Add packaging/ruby"
Wait a few seconds until your new package is generated, then install it on your server with the usual instructions. That's it! Passenger should now load and serve your application when you access http://my-server.com:80.
git commit -m "Automatically migrate and restart our app"
Now, every time you install a new version of your package, migrations will be run and Passenger will restart your application. Head over their blog post to learn more about their use of the Packager.io service. Joola is a data middleware for building custom analytics applications, written in NodeJS. And they just wrote a great blog post explaining how easy it is to package and distribute a NodeJS app for several distributions using Packager.io. Every time your install Joola, it needs to download and install all the dependencies. Some dependencies require compilation, which may fail. Dependencies have their own life-cycle, so we might have a situation where a user is using a newer dependency package than one we've tested. The installation process can be lengthy if we include the geo-ip dictionary for IP lookups. npm is designed for libraries, so the user ends up with ./node_modules/joola instead of using "proper" system folders. npm installation process does not relate to group, user, directories, permissions etc... creation, so we're quite limited in providing Joola as a service. Users can install the package either globally or locally and we want to have uniformed configuration/logging/etc... folders. Check out the full blog post !